Right at the start, you know how this thug’s life ends. But how he winds up in the flaming wreck is a bit of a surprise. 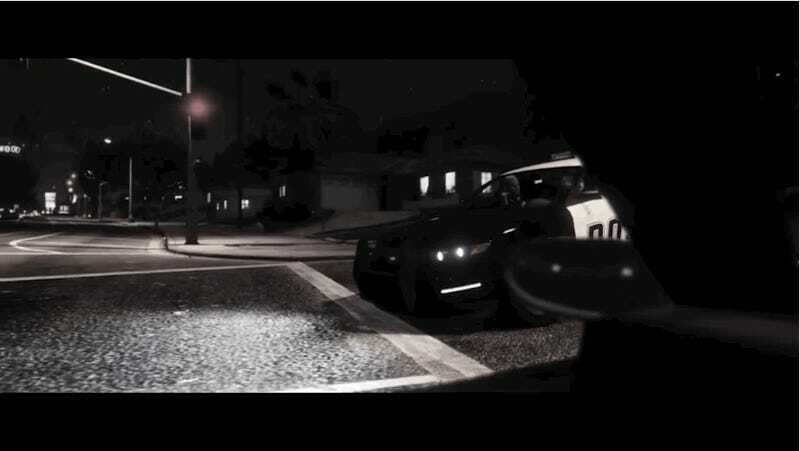 A moody Rockstar Editor short by YouTuber JFiveT, “Failure” leans hard on one core truth of the Grand Theft Auto series: you do something messed up and the cops will come after you. I really like how this story unfolds primarily in the negative space of Los Santos’ open world. You only see the guy’s face once and the progress of the actual pursuit comes from tertiary viewpoints. Part of the tension from watching this is waiting to see just where dude’s evasion of the police goes horribly wrong. And when it happens, the fateful moment reminds viewers that GTA V has one force of nature that everyone needs to respect.